Your dog is probably your favorite companion, and rightfully so. Having a dog in your life may help you maintain better heart health and feel happier on a daily basis, but that doesn’t necessarily mean that your canine companion should be granted the same privileges as human members of your household. Sleeping in your bed, for example, may be an area where you draw the line. 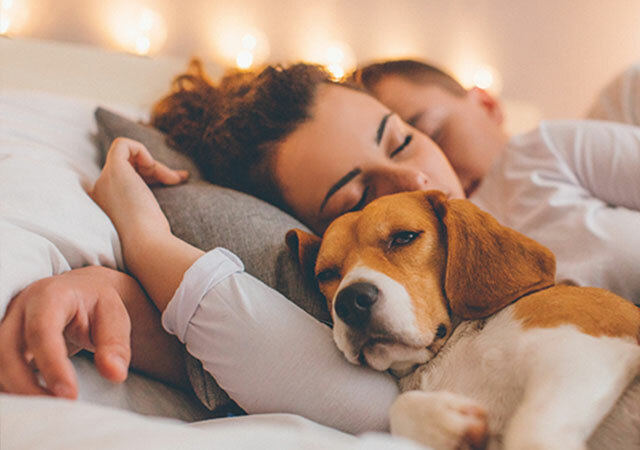 Though it only seems natural to curl up with your furry friend when you turn in for the night, you could be welcoming a nightly disruption that diminishes the quality of your sleep. Since sleep is a foundation for good health, it’s important to carefully consider whether it is worth it to let Fido sleep on your bed with you. For many of us, there is nothing more comforting than having the family dog around, patiently guarding the room and waiting for more belly rubs. Dogs are comforted too by the presence of their humans, which is why they make a habit of following us around the house and trying to tag along when we leave. Therefore, you might not think twice about letting your dog into your room to sleep. However, it may be better to get him his own bed on the floor rather than letting him jump up onto yours. One study from the Mayo Clinic suggested that simply having a dog in the room did not disturb sleep, but having a dog on the bed can cause wakefulness throughout the night, reducing sleep efficiency to subpar levels. Interestingly, sharing your bed with a human partner will not cause the same type of disturbance, likely because humans will subconsciously work to not disturb their partners, where dogs are inclined to take up lots of space and snore loudly while they snooze. Along with concerns of snoring, kicking, and other disturbances in the bed, dogs can create a disruption with the mess they bring to your blanket palace. Though healthy dogs will not likely contaminate your bed with harmful pathogens that can get you sick, they can still track in dirt, debris, and other unsettling materials. Keeping them on the floor in their own doggie beds can be the best way to keep your bed clean. It’s also worth considering how sleeping on your bed affects your pet’s health. For some pets, the privilege of getting on the bed or couch may increase territorial tendencies with more frequent outbursts of growling or barking when someone sits down on the same piece of furniture. When dogs become defensive in this way, they are more likely to scratch or bite, so it may be best to avoid the issue altogether and invest in a quality bed that your pooch can have all to himself. 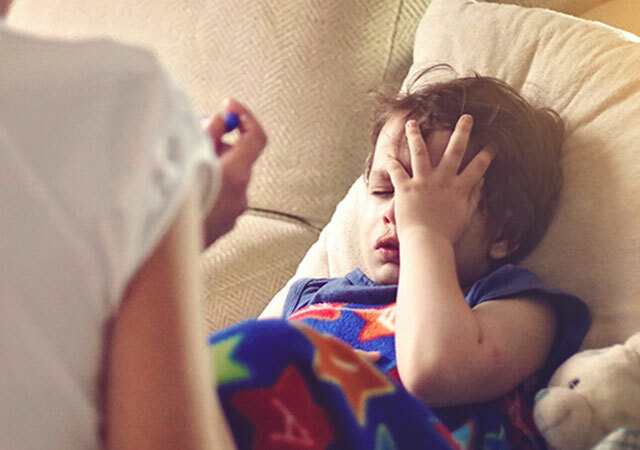 For all the health related questions and concerns that pop into your head, you can count on MeMD to provide answers. Whether you follow our blog or connect with our doctors directly, you can rest assured that we are there for you with the information you need to stay well.